Reliving the WWII Munich – On an quest to find unfamiliar places to travel. Attempting to cook. Munich wasn’t a tourist destination for me. If it were, I would have chosen some of the chief city attractions and within 48 hours, worked my way down the list and headed back to the airport or taken the train from Hauptbahnhof (Munich Central Station), onward to other German and/or European cities. No, I am a resident of Munich, albeit for a limited period of time. Even before I have the vaguest idea that some day I might be living in Germany, I was historian by choice. The love for that began with a father at home who taught me the chronological order of the Mughal dynasty emperors, starting with Babur, culminating in Aurangzeb who razed the empire to the ground. Along with Indian history, WWII and the Allied and Axis powers always made for great dinner time conversation back in my childhood days. At the age of nine, I knew the significance of the war and who made up the two sides. While growing up, I devoured any book I could find on Hitler and Winston Churchill. As I grew older, and moved towards higher education and my career and the internet pervaded our lives, I drew up a list of the War films that I needed to see. Schlinder’s List and The Pianist still makes me cry. Life is Beautiful, The Boy in the Striped Pyjamas, Enemy at the Gates, Captain Corelli’s Mandolin, U-571, Pearl Harbour, The Bunker, Inglorious Bastards, Atonement, Valkyrie, The Way Back, King’s Speech, Shutter Island – the list of films were endless. The genre didn’t matter, anything remotely related to the period of 1938 – 1945 and I was hooked.And not to discount the hours spent on watching documentaries on Adolf Hitler, cumulatively I must have spent more than 1/10th of my life till now on material related to WWII. Hence one can understand my anticipation and utter historical delight once I was offered the opportunity to work in Germany. And nature colluded with the ration that I chose Munich as my base location. 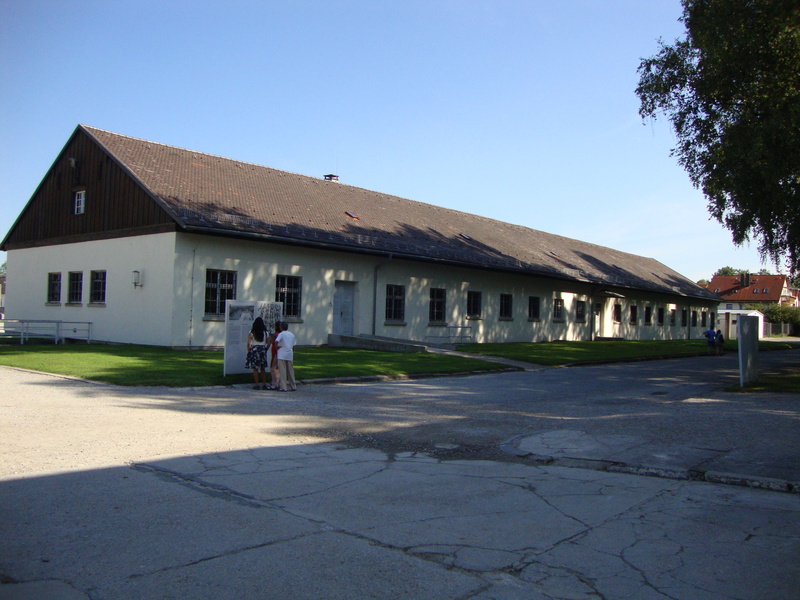 A week into my German “holiday”, and my first visit to anything remotely considered touristy in nature was Dachau, the very first concentration camp established by the Third Reich. For anyone who has never been to a concentration camp memorial site, the feeling cannot be described. It’s a surreal one. A cataclysm of emotions, of reverence for those who suffered, of loathing, of awe, of indignation, of anger, of sorrow, of helplessness and so much more. All those images on the screen, which I had relived through those hundred or so films that I had seen, were there before my eyes. I was walking the path, where thousands of Jews and political prisoners had marched, to morning and evening roll calls. I was wandering around their living quarters, where hundreds of these men had cramped into tiny wooden cots to sleep on half-empty stomachs every night with thin potato sacks doubling up as blankets. I was traversing through their rooms which were the torture chambers used mercilessly by the SS officers to extract secrets or just have some fun. And I cried silently for all those people who had suffered so many many years ago, for no fault of theirs, but to be born a Jew.And right at the center of the camp is the plaque proclaiming “Never Again” in five different languages. I would like to believe that it is a heartfelt apology for all those horrific crimes committed during those 12 years at Dachau. 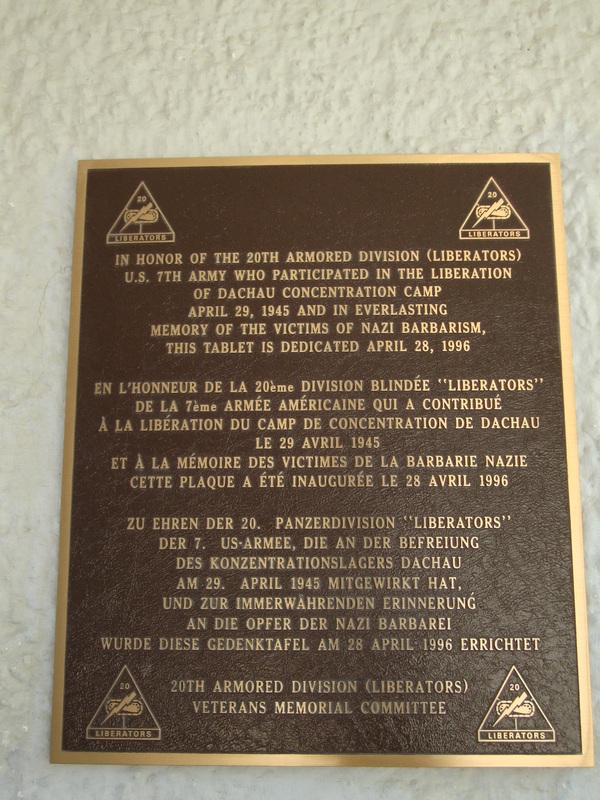 Dachau concentration camp was the first Nazi concentration camp which opened in Germany in 1933, located on the grounds of an abandoned factory near the medieval town of Dachau, on the outskirts of Munich. Its just a 20 minutes journey from Hauptbahnhof on the S2 line towards Petershausen and then a shuttle bus drops folks directly at the camp memorial site. 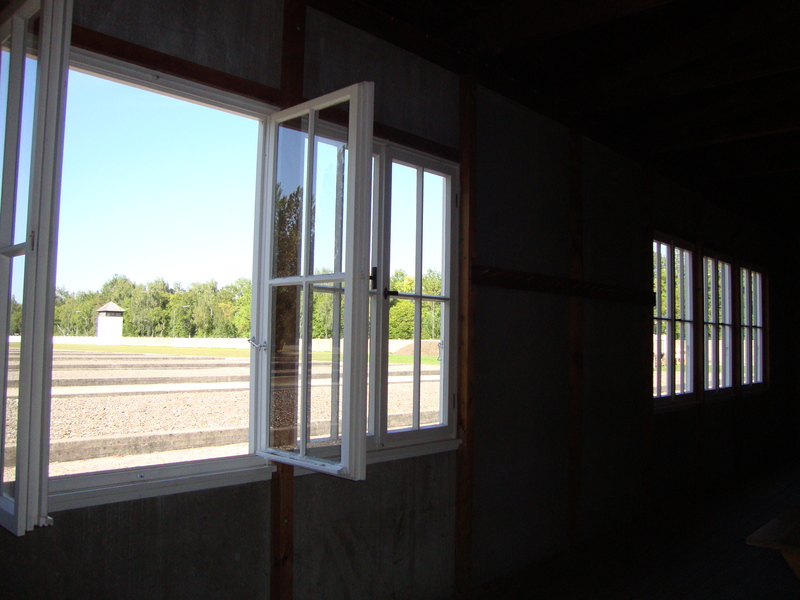 It was the only camp which functioned for the entire 12 years of the Holocaust period. Today, the camp is open free of cost to all tourists, open from Tuesday to Sunday from 9 am to 5pm. The dream window to freedom? 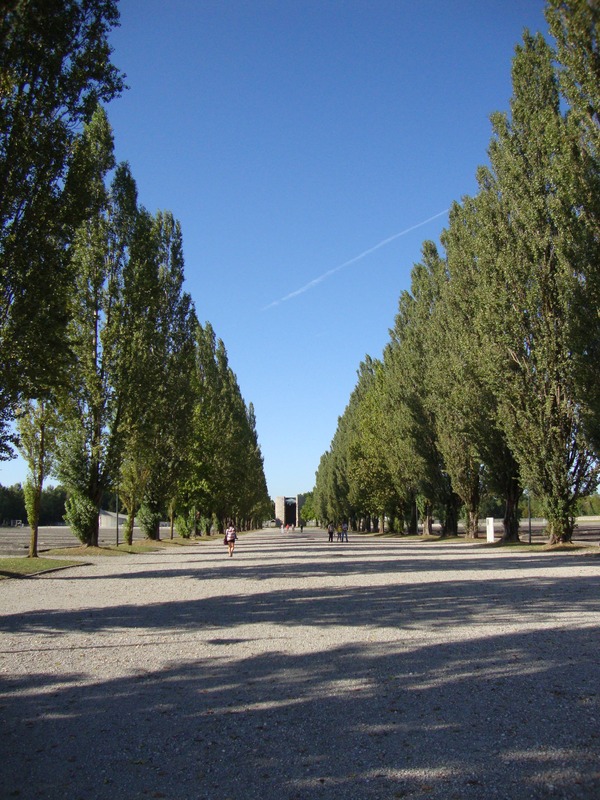 I returned to Dachau with my friends one late summer afternoon. The surreal feeling returned. The rooms were just the way I had seen it in the cold harsh winter of January. The Never Again gleamed even brighter in the bright summer sunshine. The tourists flocked in huge numbers as usual. Nothing had changed, and never will. We cannot rewrite history, we cannot forget. All we can do is go back and visit places that remind us how lucky we are to live in a world free from genocide, a world where we have the freedom to choose our future, a world where we are not discriminated on the basis of our caste, creed or color. I live in the German land today, whose people would like us to remember them for their engineering, their Oktoberfest and beer, their fantastic cars and their strong economy which is continuously bailing out troubled European neighbors. Although I have never had the privilege to know the contemporary Germans’ feelings towards their inglorious past, furious readings on the internet and discussion forums have led me to believe that they know their history, will never forget it, and move on in their lives to create goodness for times immemorial all those years of atrocities which they regret. My fantastic sojourn in Munich continues. I am looking forward to Oktoberfest, just a week away. And I see all that is good German around me. This city has been a lovely host to me and I hope to take back some valuable memories. Previous PostPrevious Mindlessness in the land of plenty?